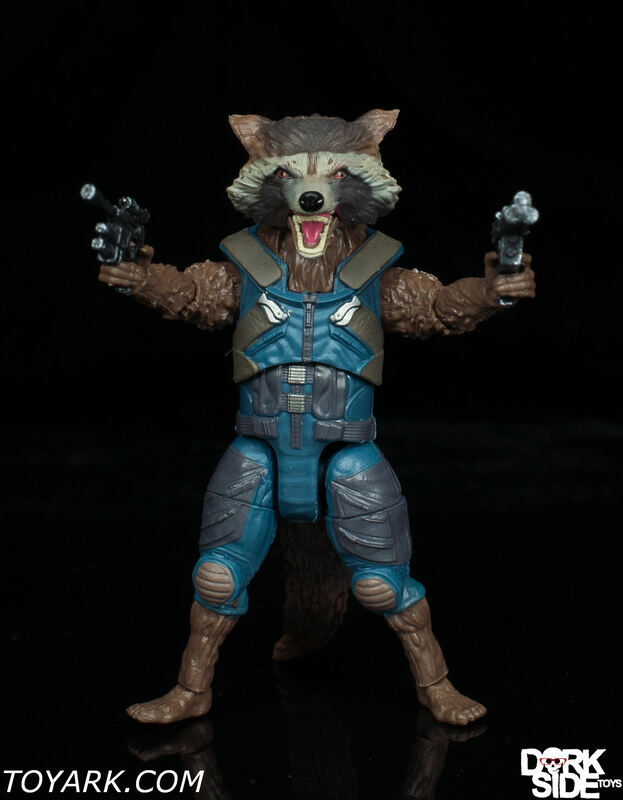 An expert marksman with a penchant for large weaponry, Rocket Raccoon is the last of his kind. 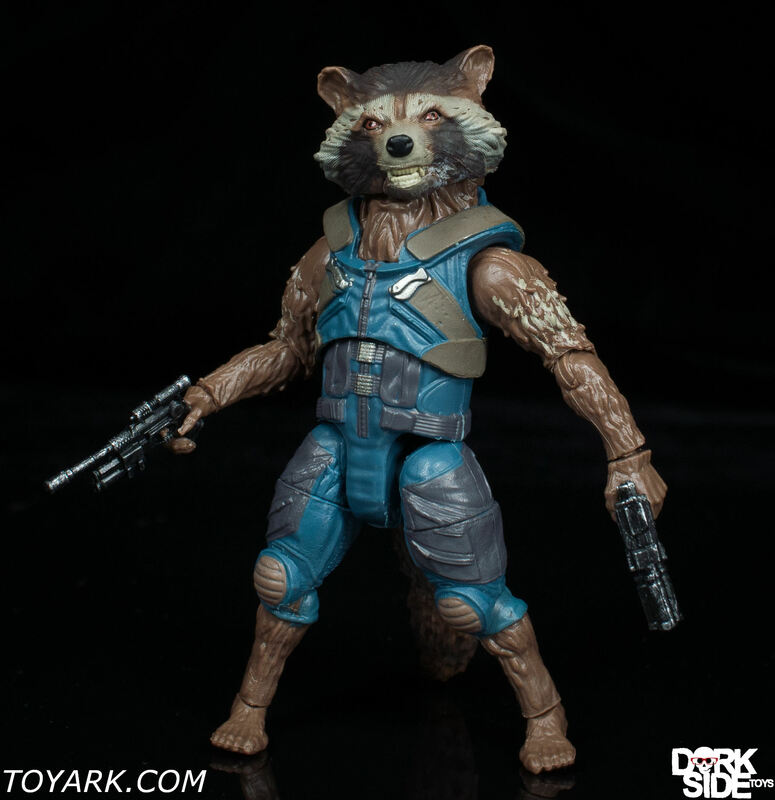 After being captured, Rocket teams up with Star-Lord and other adventurers to form the Guardians of the Galaxy. 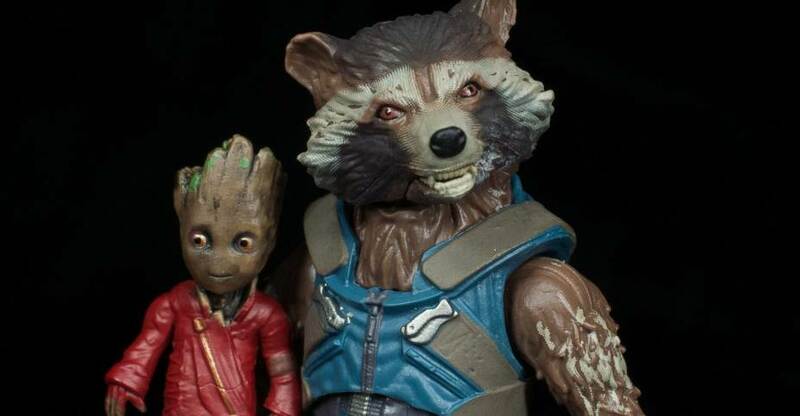 Together, they travel the galaxy and defend it from those who wish it harm. 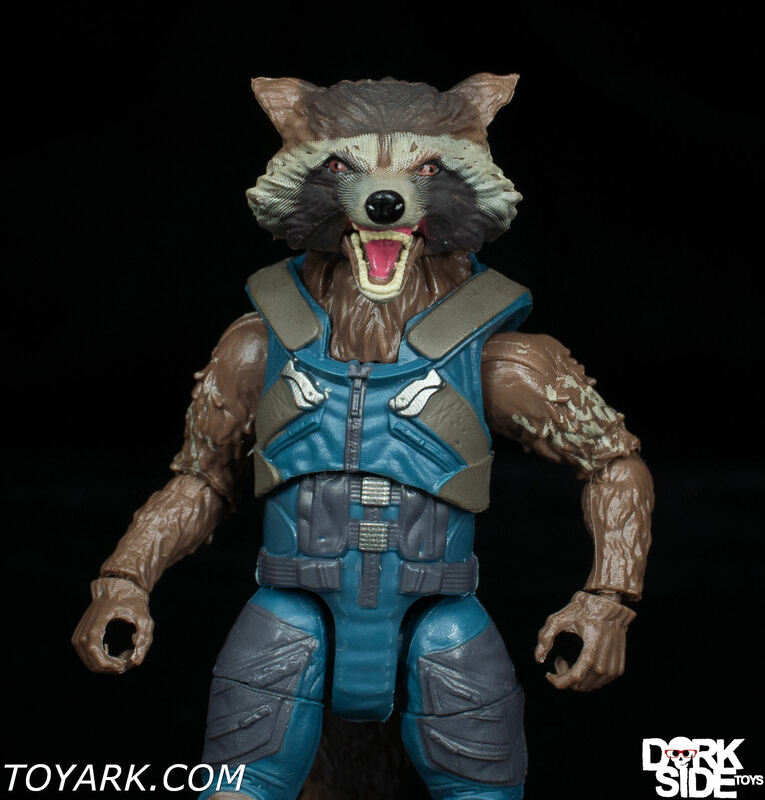 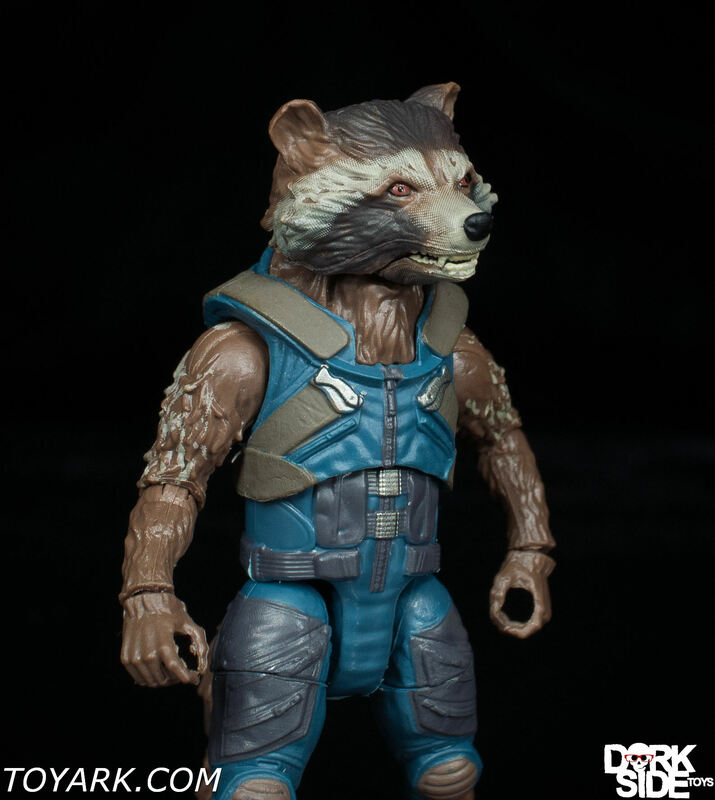 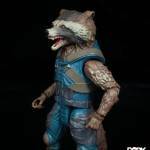 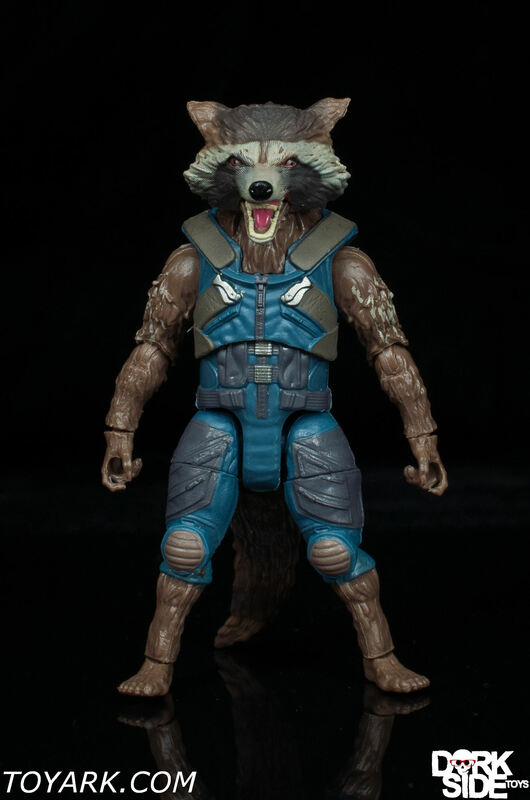 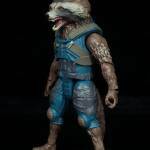 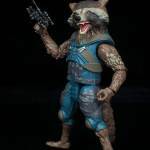 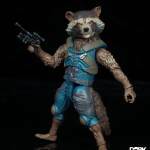 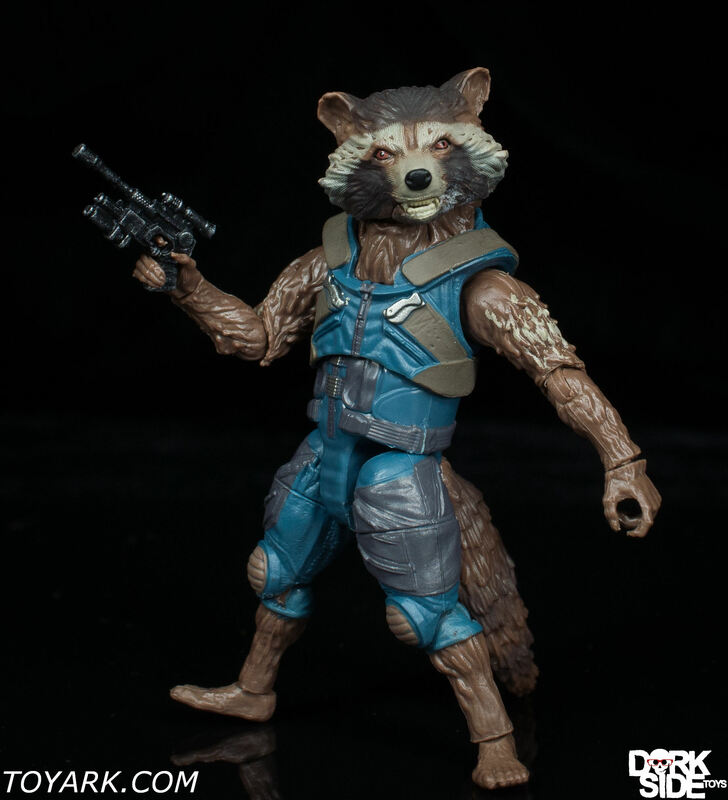 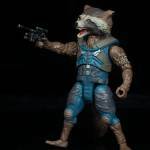 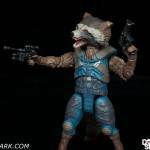 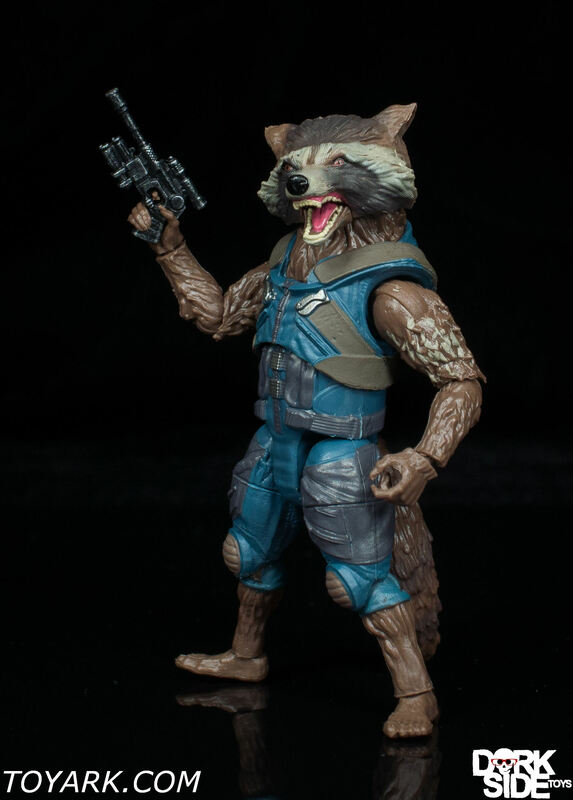 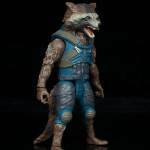 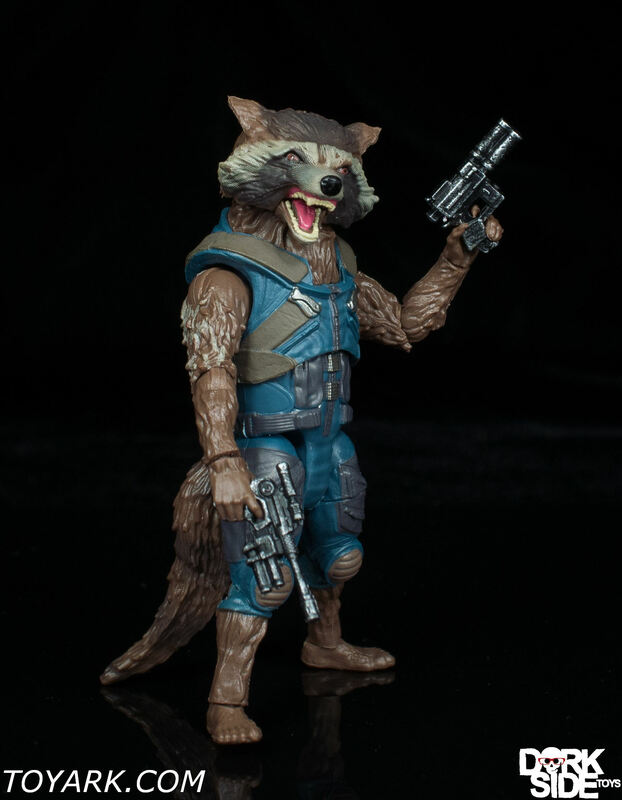 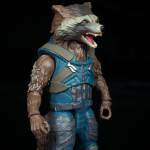 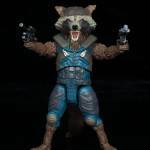 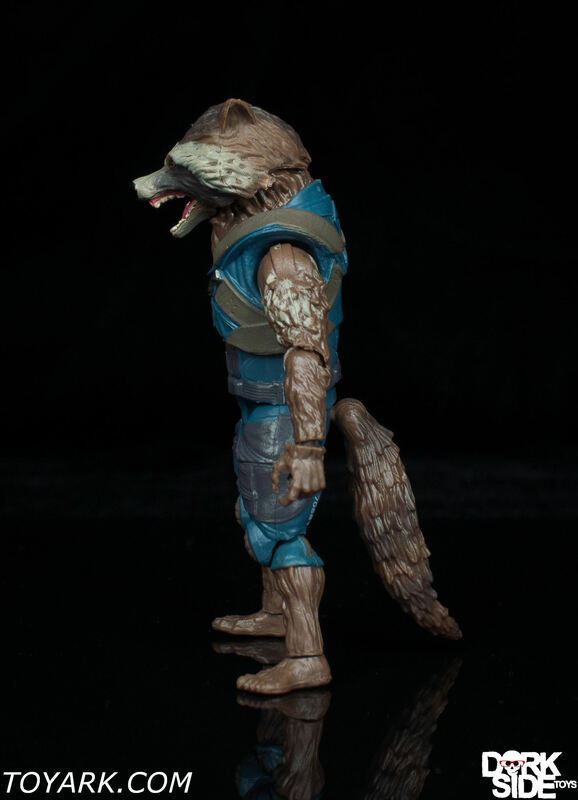 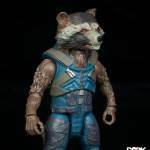 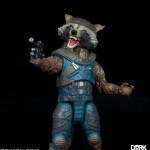 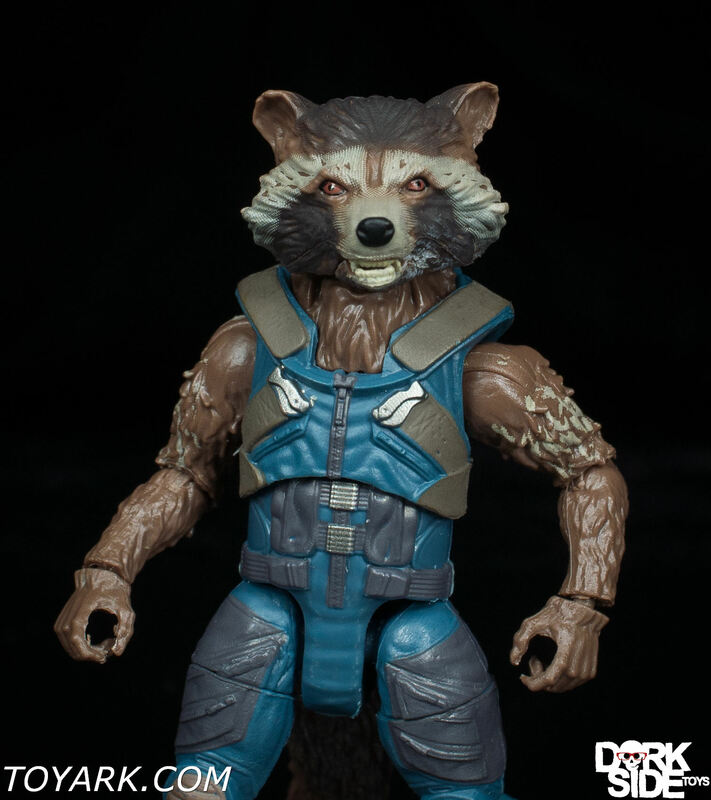 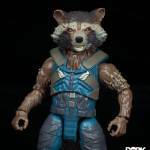 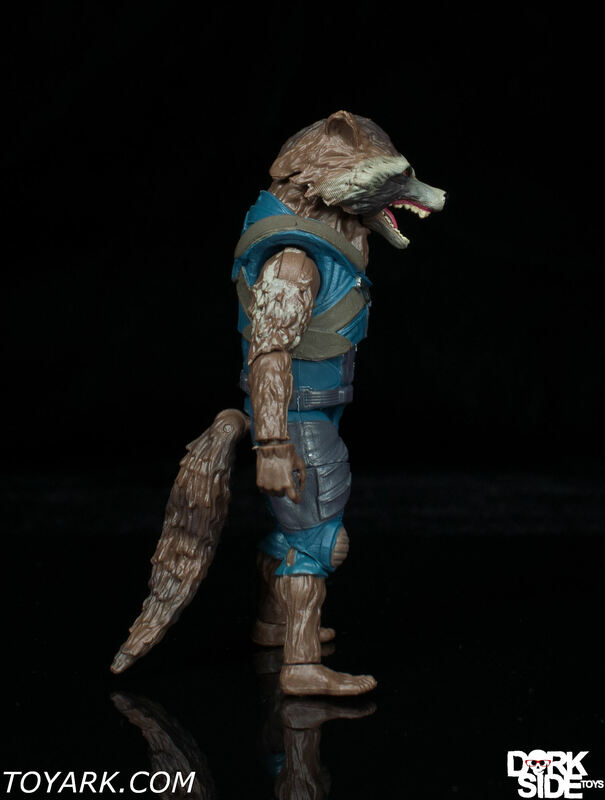 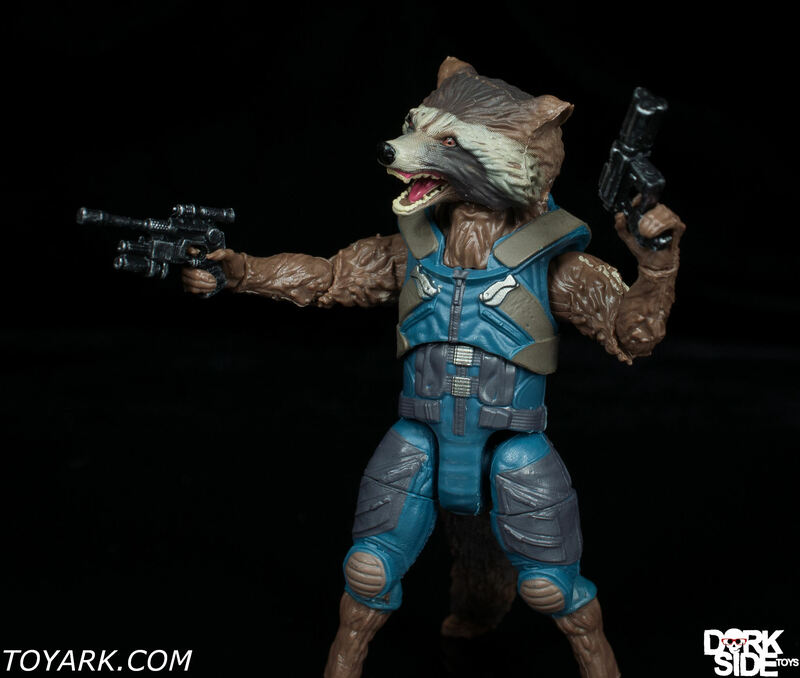 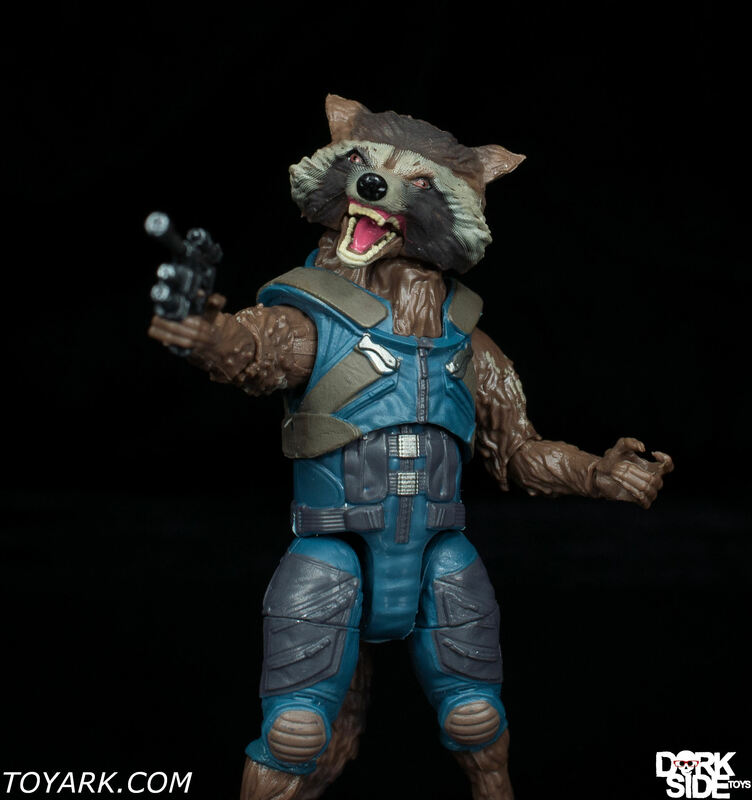 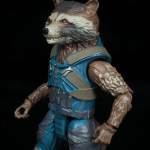 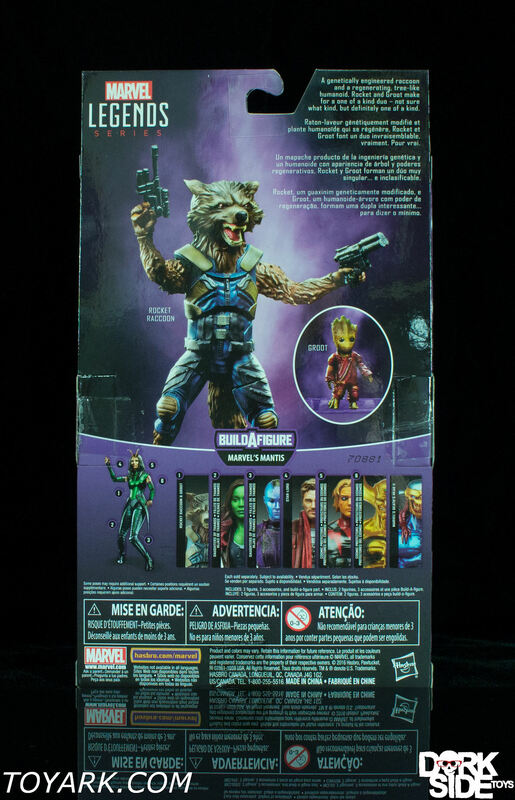 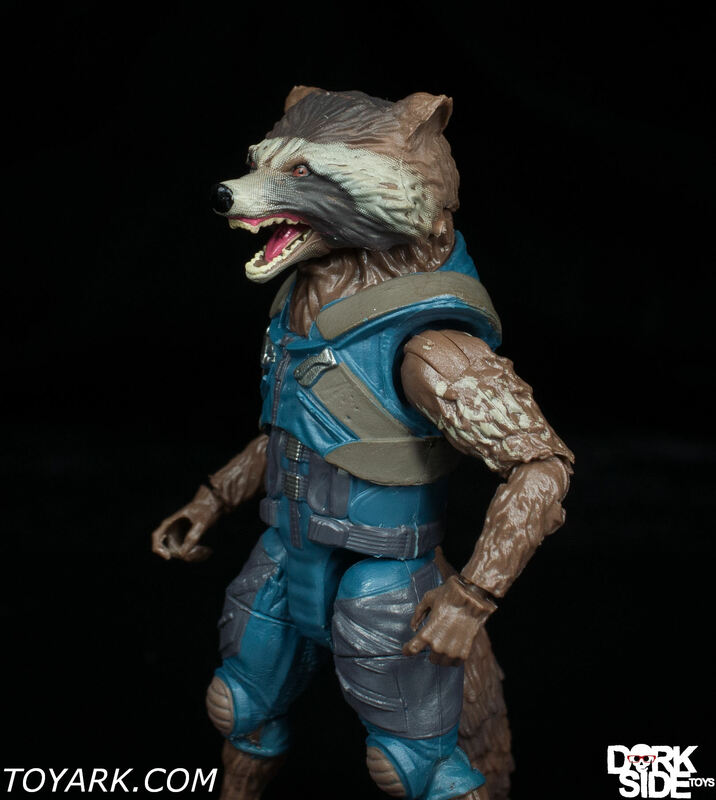 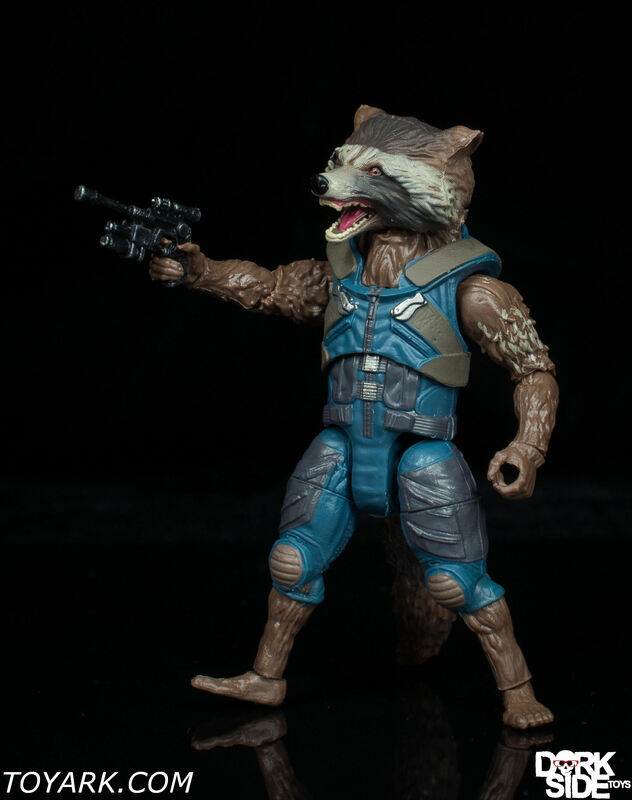 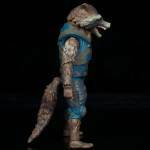 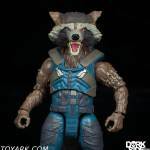 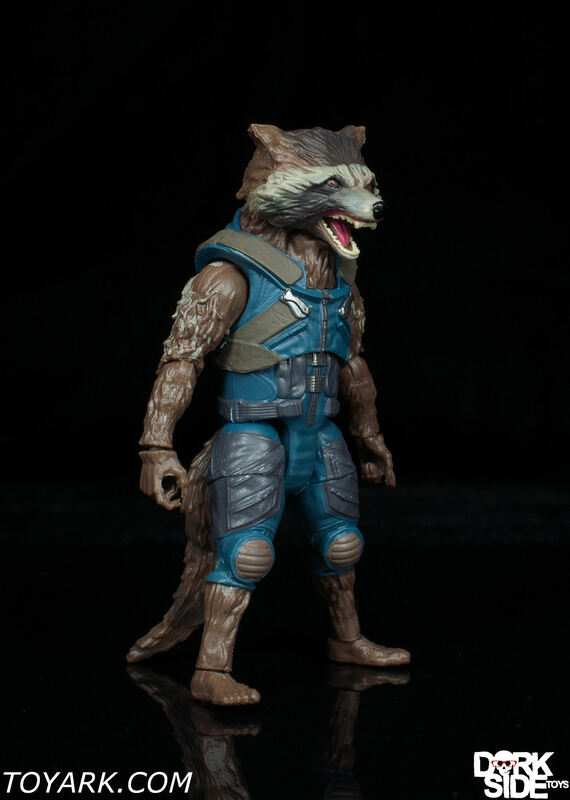 Rocket Raccoon is one of my favorite characters from the MCU and Hasbro did a fantastic job with this release. 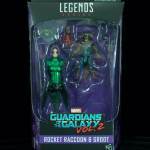 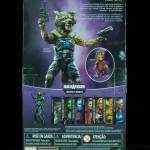 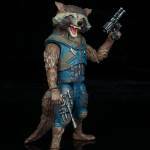 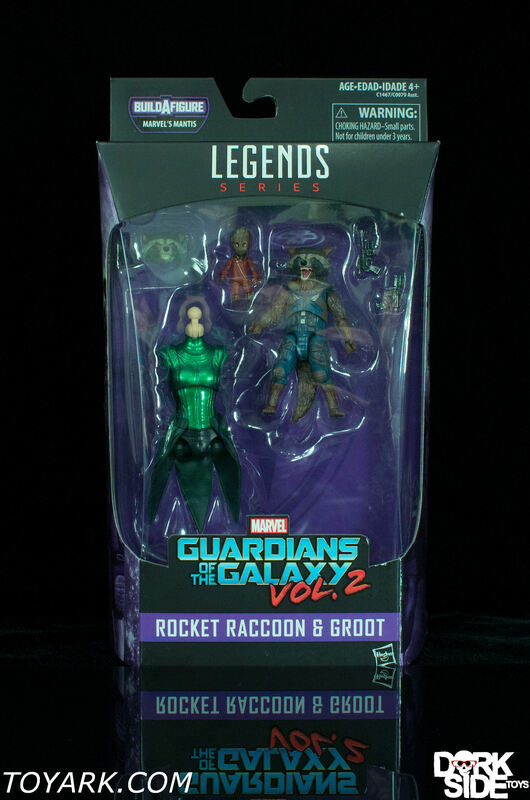 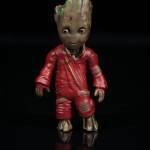 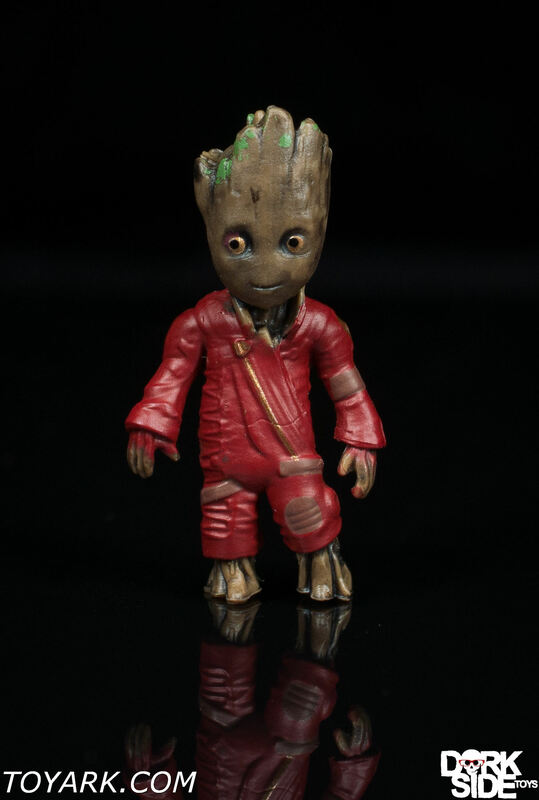 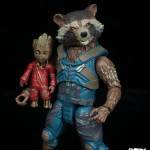 Rocket comes with an awesome baby Groot and also includes two different blasters. 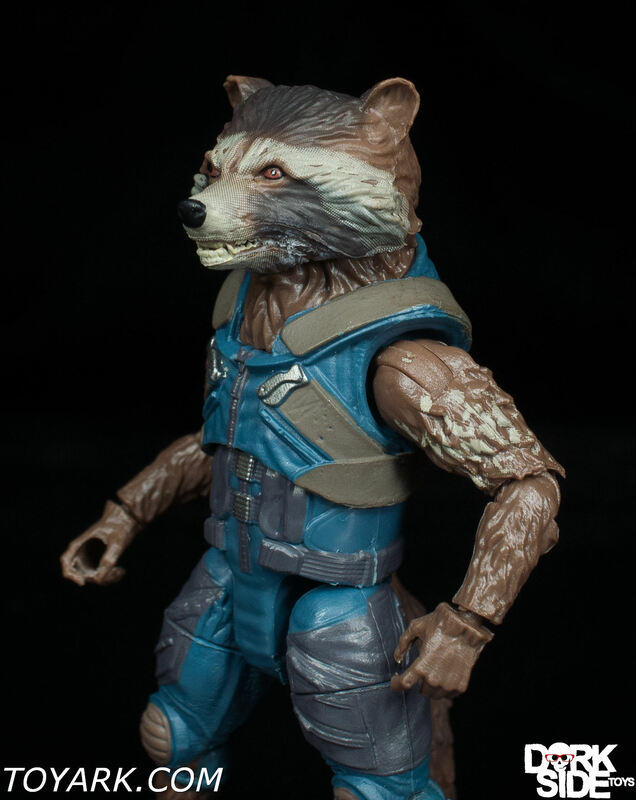 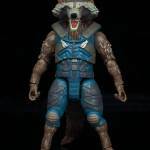 Add the second head sculpt and you get one hell of an offering for this character. 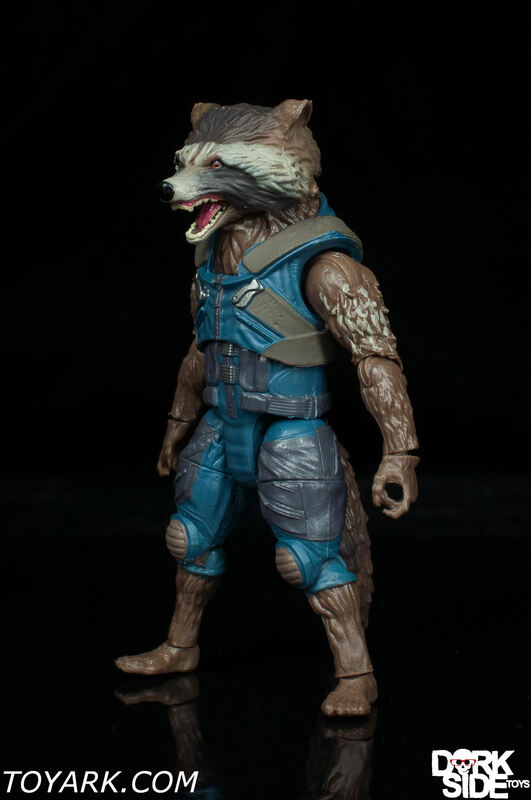 Must have for casual and collector alike. 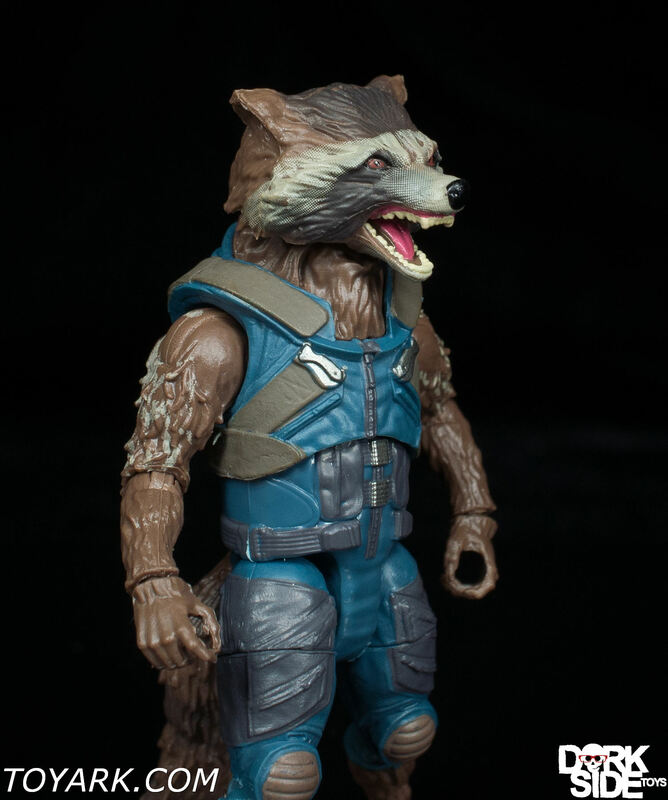 Please note – close up shots of the faces show dot-matrix style printing artifacts. 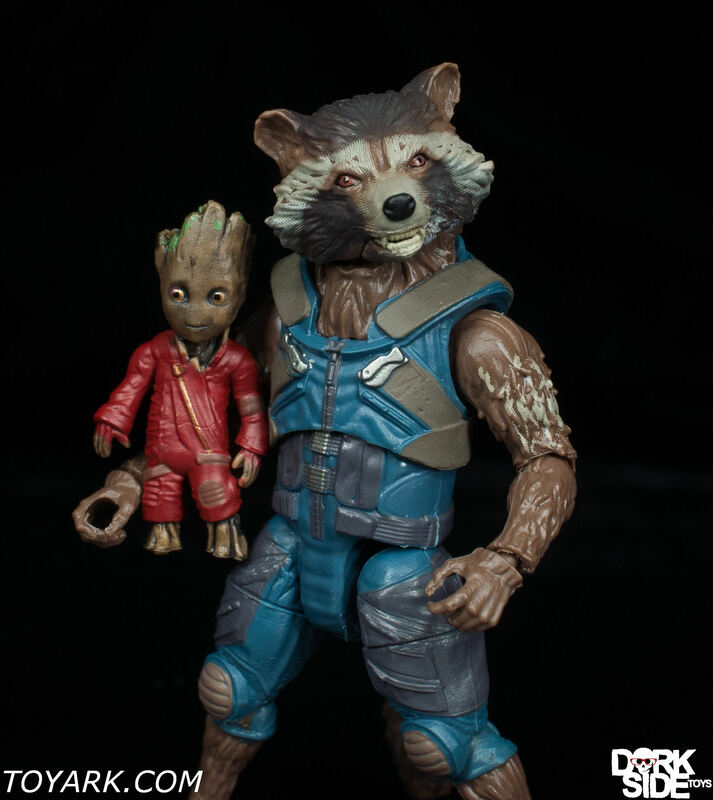 This is not visible to naked eye from normal distances, even holding in hand semi close. 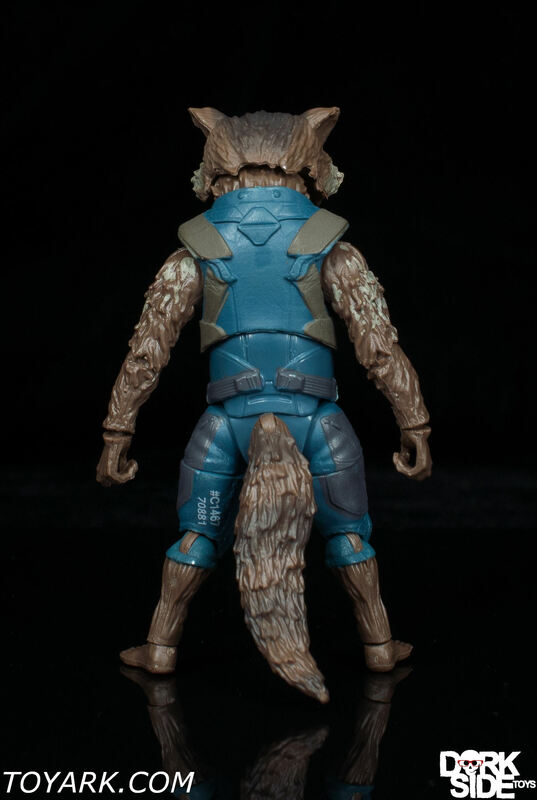 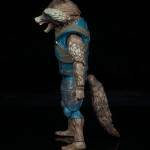 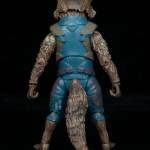 It’s due to the computerized printing method that’s replacing hand painting on the assembly line, and what allows for very small and detailed accents like his fur possible.